The 23132 express train passenger car set is being produced in 2019 in a one-time series only for Trix Club members. 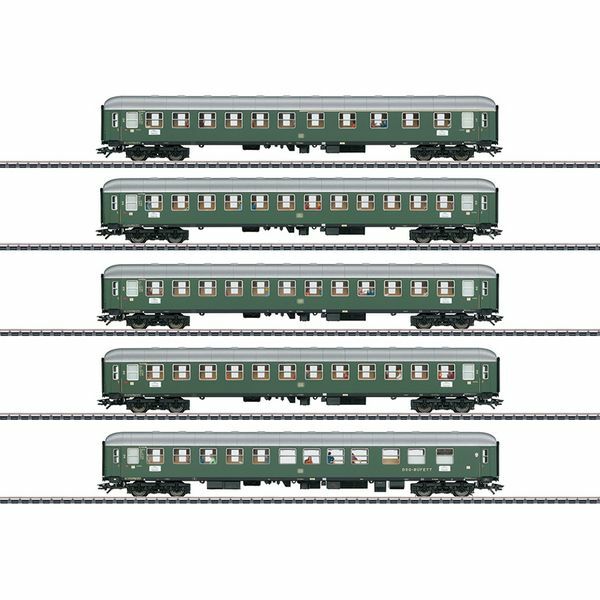 Another express train passenger car set is also available only for Insider members under item number 23133. The class V 320 heavy diesel locomotive is ideal with the 23132 and 23133 express train passenger car sets. The locomotive is also available exclusively for Trix Club members under item number 22432.